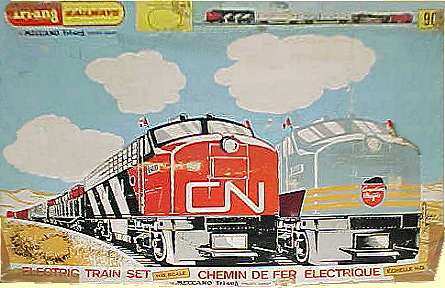 Canadian Freight Train TS905?. CN A Unit, C&O Refrigerator car, 100 ton Shell tanker (not sure if this is the correct model for this set), Car transporter, CN Caboose, . 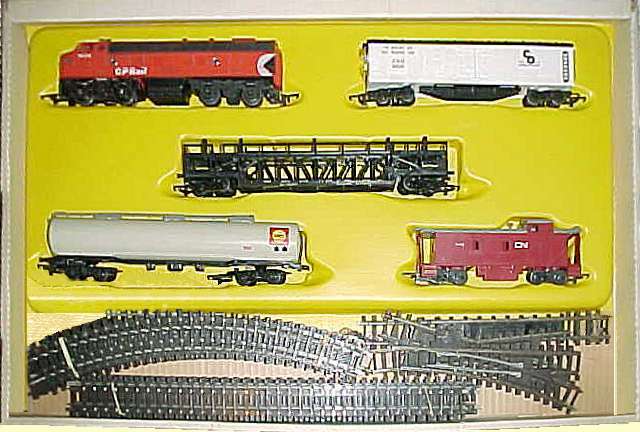 Oval of Series 4 track and Power Controller.